I work as a server. I was looking for something to help me with energy to keep up with the job. For one shift we could easily move an average of 5 to 8 miles a day. I remembered taking Zantrex in the blue bottle years back and the energy that I had, so this time I tried the red bottle. It not only gave me the energy that I needed, but I lost 23 pounds in about three months time, which was a bonus for me. I was only taking the two to last threw my shift. I was so pleased with the results that I have started on the black and can't wait to see what's next. Did the black ones work better for you? I like the 12 hour energy level it gives me while having no jitters or dizziness! price I buy mine for $20.00 on sale, I take 3 a day and it last all day long, I have no trouble sleeping. I have bad allergies to food and chemicals. After reading reviews of other products I told myself why am I looking for something else? I like this product. I just started about 2 weeks ago and it agrees with my allergies and gives me energy! I'm giving it a try faithfully. 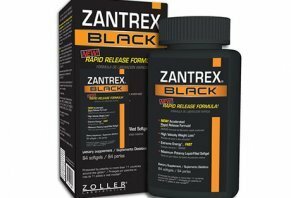 I purchased the Zantex Black about seven days ago. I immediately started at 2 pills before each meal. I definitely see that it helps a lot with suppressing my appetite and energy is so so. In seven days I have lost three pounds, but that is with a 1500 calorie a day diet plan. I would definitely recommend this product as of now.